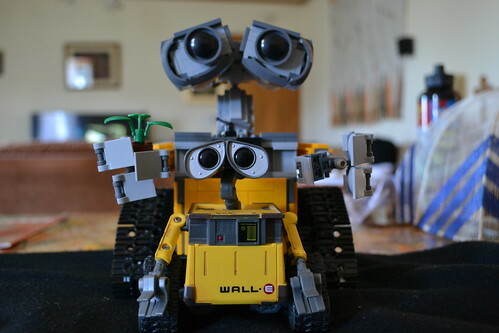 For me, WALL-E is not just another movie. This actually has a sentimental value to me. it was a highly anticipated film back in 2008. Personally, I was excited for it also because it featured robots, and the lead character looked like Johnny 5! I was equally looking forward to the merchandise as well. Which makes me wonder why I only bought 1 action figure from the wide array of choices! 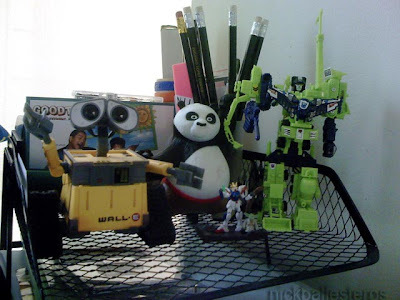 That's Junior WALL-E getting acquainted with other action figures. 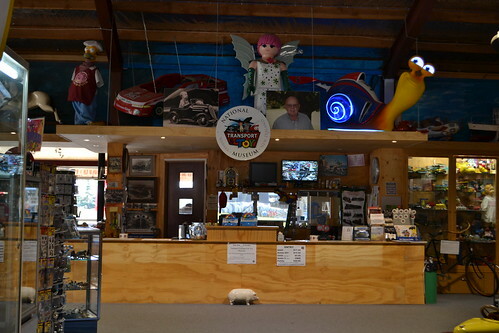 One of our more surprising stops during our South Island road trip was the Wanaka National Transport and Toy Museum. 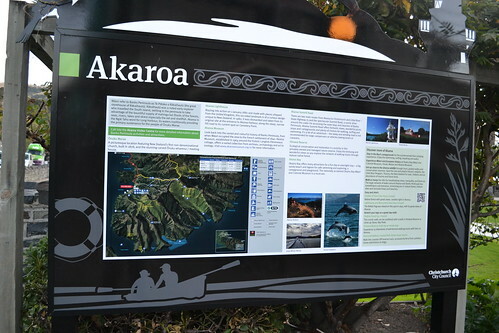 We did not research beforehand our destinations and left the itinerary in the capable hands of our friends who have been in the South Island before. The name of the place is as obvious and as unassuming as it can get - it's a place with toys and cars. What an odd combination, I first thought to myself. And I wondered what sort of toys would be on display. Surely not the anime-related stuff that I've been so enamoured with in the not so distant past... those are not so popular here in New Zealand. Well, it wasn't. 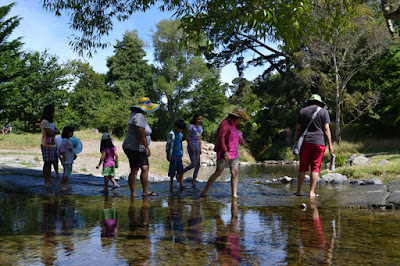 But what I saw with my kids was something way beyond ordinary. The collection was colossal, to say the least! And I was very, very impressed. If I could spend an entire day checking out each and every nook and cranny and every single item in that place, I would! 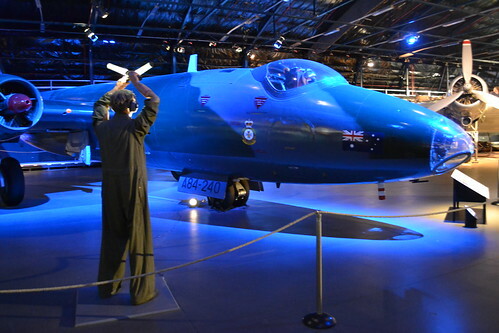 Check out some of the photos (and video) we took from the Museum. This is the front desk. It doesn't look much, but boy were we in for a surprise! LEGO! 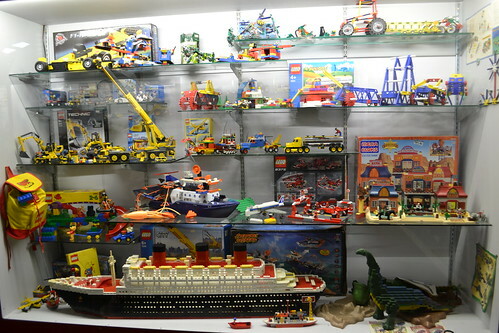 A toy museum would not be complete without LEGO. 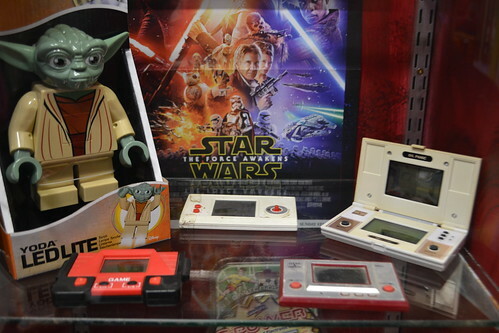 Nintendo Game and Watches -I haven't seen these in a long time. Very popular in the late 70s to 80s in the Philippines. In the mid-2000s a colleague and I searched and high and low for these portable games but never found any. Seeing these again brought back happy memories. When Pinoy Stop launched an art exhibit featuring works of Pinoy kids, I wondered if my son Jo-Lo would be interested in participating. He is actually good at arts and crafts, but he's been spending more time on Minecraft lately so I was not particularly sure. I floated the idea to him, but it wasn't until a couple of weeks before the deadline that he said he wanted to join. I made a couple of visits to the art store for acrylic paint, various bits of paper and we were off! 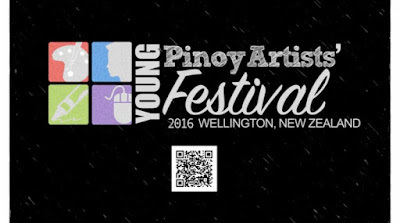 Jo-Lo made a total of 5 artworks. 3 are paper weaving types which is reminiscent of the banig, the woven mats used for sleeping in the rural areas. Two were of a simple pattern, with a third giving him more challenge as it was more intricate and and had a bigger base. His other artwork was a Christmas lantern where he used eggshells and acrylic. 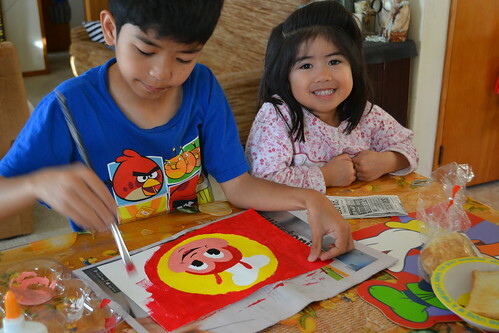 And lastly, he painted a pop art of his favourite fast food chain Jollibee. 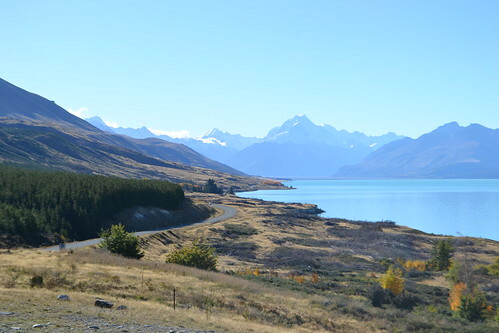 Initially, the Aoraki / Mount Cook National Park was not one of the highly anticipated trips in our itinerary (primarily because I knew we were not going to be able to climb it anyway) but I was pleasantly surprised at how much I enjoyed our day trip. Kudos to our friends John and Elaine for arranging this trip for us (we left the planning in their capable hands so we actually did not know the complete itinerary - their itinerary did not disappoint). This national park is home to the tallest peaks in New Zealand. From afar, we caught glimpses of snow-capped peaks as we wend our way across picturesque landscape. 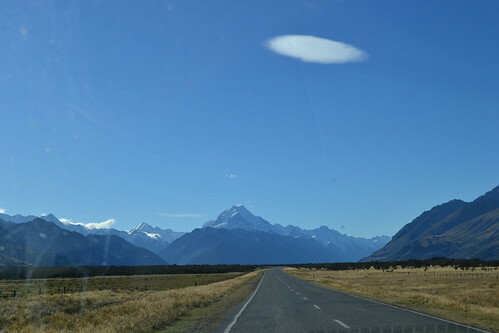 The South Island is indeed so different from the North Island - from what little I have seen of the north anyways. 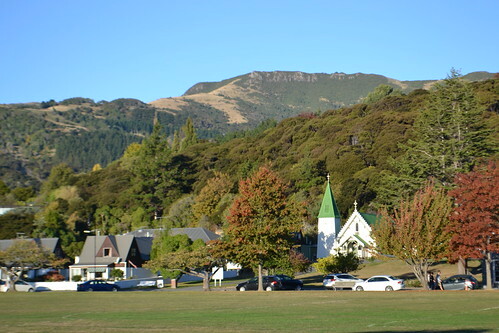 I actually had a very stressful problem when we went back to our motel after visiting Arrowtown and Queenstown. While driving back I turned on my camera to view the wonderful photos we took of these two very picturesque tourist spots. I was a bit concerned when a huge batch of my photos would not appear on my camera's screen, but I thought the laptop would show me the rest. It didn't. I was rummaging through my backpack in an an effort to organise the increasing clutter within, when I picked up an SD card from one if its pockets. Intrigued (primarily because I could not recognise it), I inserted the card into my laptop to view the contents. I found a treasure trove of photos from 2009 - the year when we were just starting to establish our new life here in New Zealand. What an amazing find! 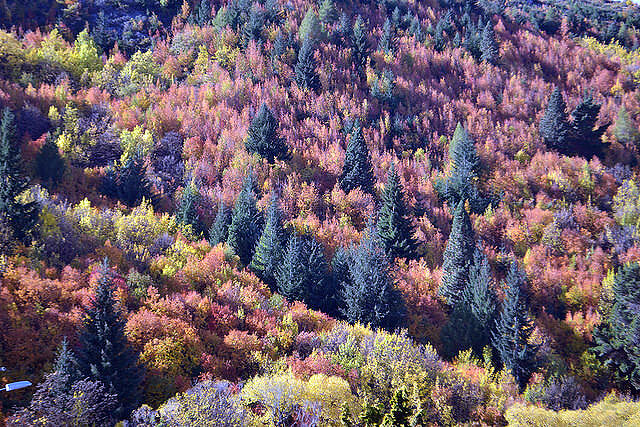 As I started to whisk these off to my Flickr account, I thought this was the perfect time to blog and share some of the more interesting ones. 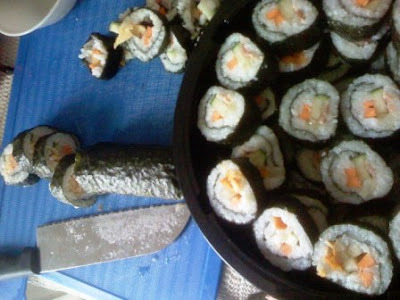 I found this photo amusing because in the past couple of weeks, my wife has been making maki and she wondered how come I was no longer making this. I struggled to remember when the last time was, and now I know. It was the 70s. We rented out a small, dimly lit room where I, my parents, and my 3 other siblings lived. I am not sure how everyone fit in that room but we did. Not that I mind as I was only a kid then with no cares in the world. Of course, a bunk bed helped a lot - it's a lot like camping. But one of my vivid memories of that place was of my visiting Aunt as she sat at the corner of the bottom bed, and while she leaned on the ladder leading to the top bunker, she expertly folded a square piece of paper into a bird which can flap its wings. I sat beside her and watched, mesmerized. It was my first lesson in origami - and my love of paper folding flourished. 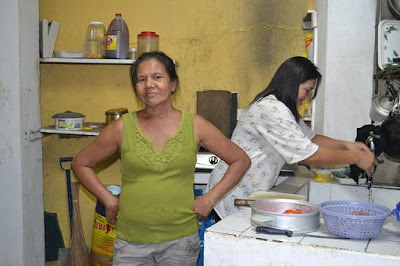 She had been a constant presence in our family until my university days, and so we grew to love and know her well. The last time I saw her was in 2013 when we visited the Philippines and we stayed in my sister's home. We were surprised to see her there because we thought she would be in the province but it were delighted to see her nonetheless. We got to be with her for about a week before she left. Little did I know, that was the last time I would see her alive. Polybags are hard to come by here in New Zealand. 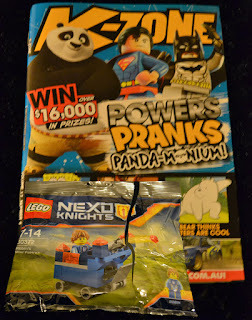 You either get them from special LEGO events, as prizes from contests, or in this case, as a freebie from a magazine! 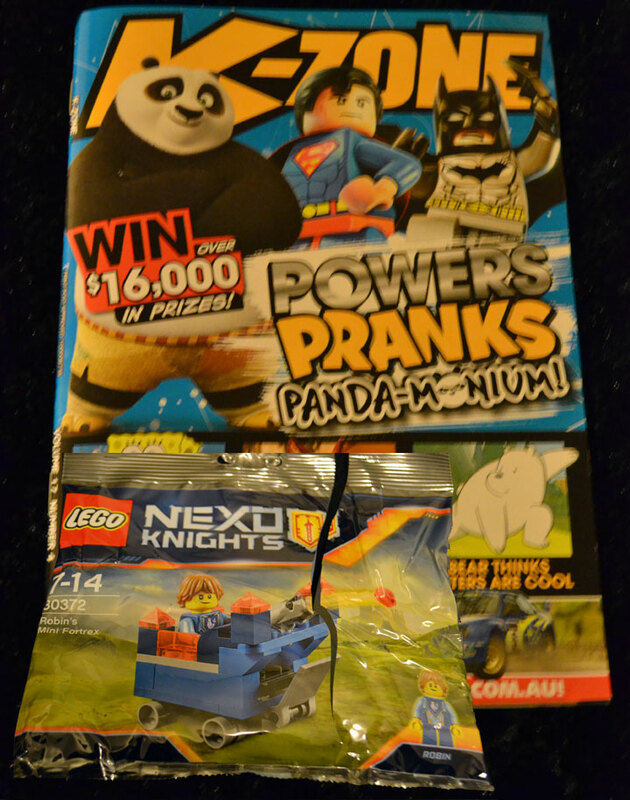 The LEGO Nexo Knights Robin's Mini Fortrex polybag comes free with this month's issue of K-Zone (AU/NZ edition) so get this magazine while you can! The build itself is quite easy - my son managed to do it in record time - but what's interesting with this set are the new pyramid-like translucent studs. We've never had those pieces before. Well, actually this is our first Nexo Knights set ever; this may well be a recurring theme in the other sets belonging to the Nexo Knights category. Another special feature of this set is that it includes a minifig in the form of Robin. According to the LEGO website, Robin Underwood is a freshman student at the Knights Academy. Too bad he doesn't come with accessories but it's still good to have this minifig. I've actually bought some more plants over the past few weeks but wasn't able to share these with you. 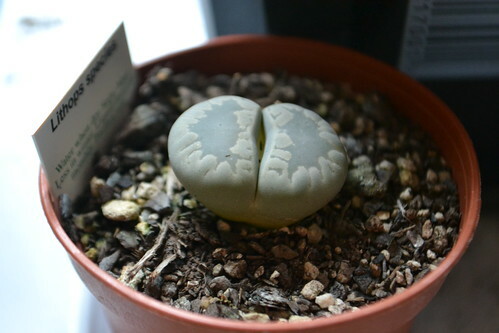 Well, last Monday's trip to the Garden Centre got me all excited to update this blog because I finally have Lithops! 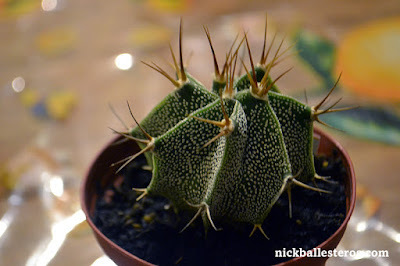 Search Lithops on YouTube and you'll see how popular this little cactus is. It's been given such adjectives as 'amazing', 'interesting', and 'wonderful'. Actually, it does nothing at all but pretend to be a rock and grow very slowly, but people are simply intrigued by them. And I am willing to be intrigued as well! 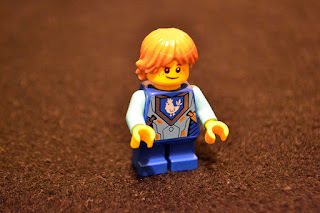 We bought half a dozen LEGO Minifigures Series 15 blind bags from this series hoping to get the Shark Suit Guy (we like mascots), the Queen (we have the King from a previous series), and the Faun (reminds us of Narnia), and the Astronaut (who doesn't love LEGO Space?). For me, anyway. My son would like to get the space guy (the Laser Mech). The good news is, we got 6 unique figures, three of which are the ones we want (the Shark guy, Astronaut, and the Laser Mech. 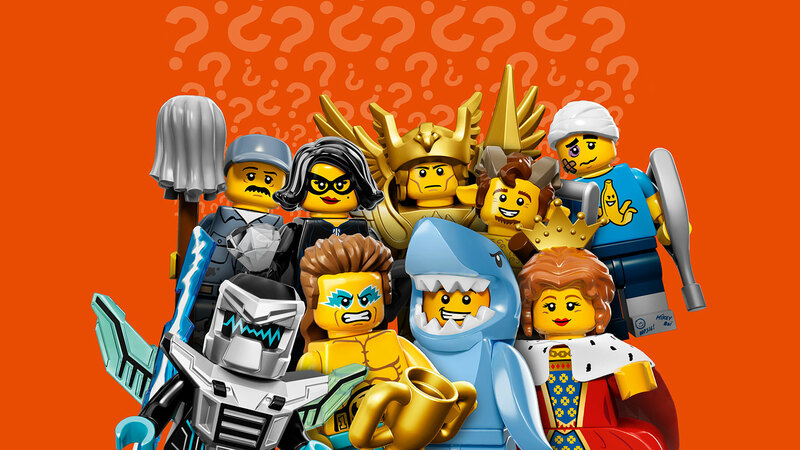 The bad news is... nah, getting the other minifigs are not bad news. They all look cool actually. 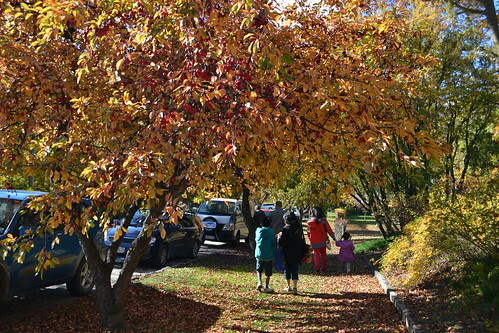 We're nearly done with March, and so we're well and truly on our way to autumn. But somehow the summer sun still manages to make a comeback, like these past couple of weekends which have been exceptionally warm. There were the odd couple of days with showers and cold gusts of wind; but just when you think summer's over the sun comes right back! We've had a glorious summer break, and while I reminisce about the warm, sunny days I can't help but recall the fantastic time we had at Batt Hill Farm Forest Park. Actually this trip was not planned at all. Our group was supposed to go someplace else but we did a last minute change of plans and ended up here. No regrets as Battle Hill Farm Forest Park is quite an interesting and beautiful place. For one, there's a campsite beside a shallow river, then there's the working farm which you can visit, and there are also walking tracks for trampers! We did not get to visit a number of places mentioned in the above video (we were out on a day trip) - it would have been quite an experience to see the eels! 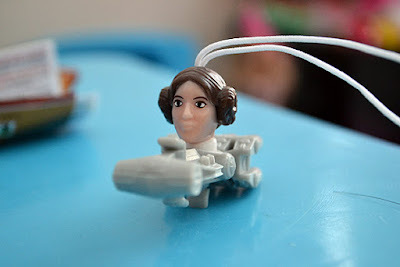 Kinder Surprise Star Wars toys ... part 2! I was at a Dairy this afternoon and did a double-take when I saw the boxes of Kinder Surprise eggs by the counter. But it's not because they also had the Star Wars toys, but because they were selling it at a whopping $2.80 each! The eggs retail at $2 each at Countdown, and $5.50 for a box of 3! Anyway, we bought a couple more boxes in an effort to get the Millenium Falcon and the X-Wing fighter. We managed to get one in. Looks like Star Wars mania isn't finished yet. Not in our household, anyway. 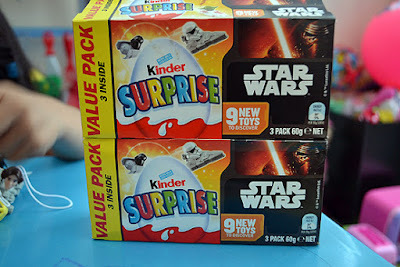 When we saw the promotional box of new Kinder Surprise with Star Wars toys, we definitely had to buy some to review. There's a special box with 3 eggs in it for NZ$5 each. We opted to purchase 2 boxes. (We actually purchased 2 more boxes a couple of nights ago and it's already $5.50 per box. Still $0.50 cheaper though if you buy individually, at $2 each). From this batch, we were able to get 4 unique toys. The past few weeks took an interesting turn at our windowsill as some of the plants decided to flower. 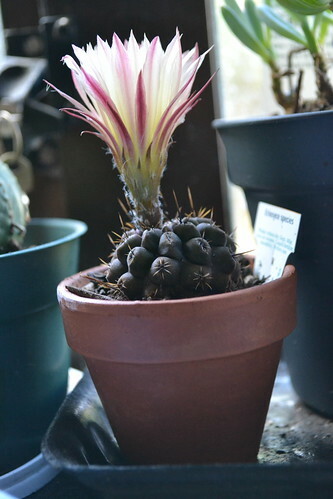 I was surprised with a couple of them, actually - I thought they don't bloom at all. 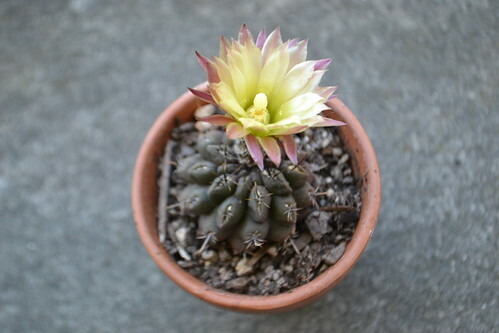 This is the Peanut Cactus, so called because of its shape. 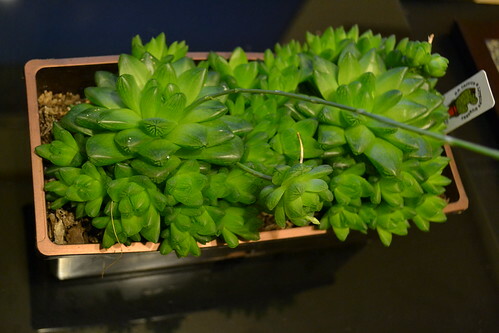 I had this for quite a while now, and I have successfully propagated this. 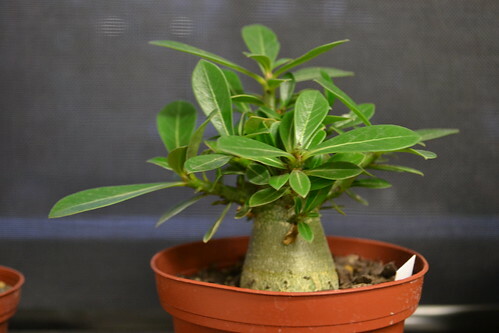 Quite a hardy plant, this one. From out of the blue, one of the smaller plants suddenly flowered - it's quite beautiful. 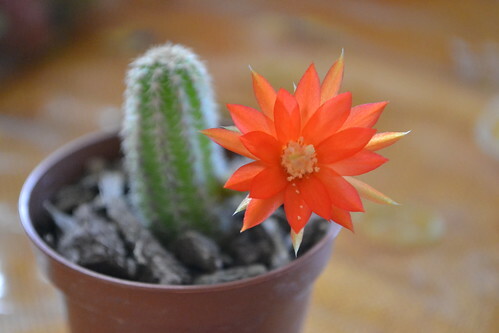 This one is on a really small ceramic pot, but it bore a beautiful flower just the same, with multiple yellow petals and a rather large pistil area (recalling my grade school Biology here).